In 2014, more than $23 billion was spent on crisis response. Yet in places like Syria and eastern Ukraine, the international emergency aid system is still failing those most in need. The multilateral humanitarian response machinery has never been under so much pressure to reform – to become more flexible, more transparent, better meet the needs, make better use of resources, and more effectively build on local capacity. But can such a large apparatus change? 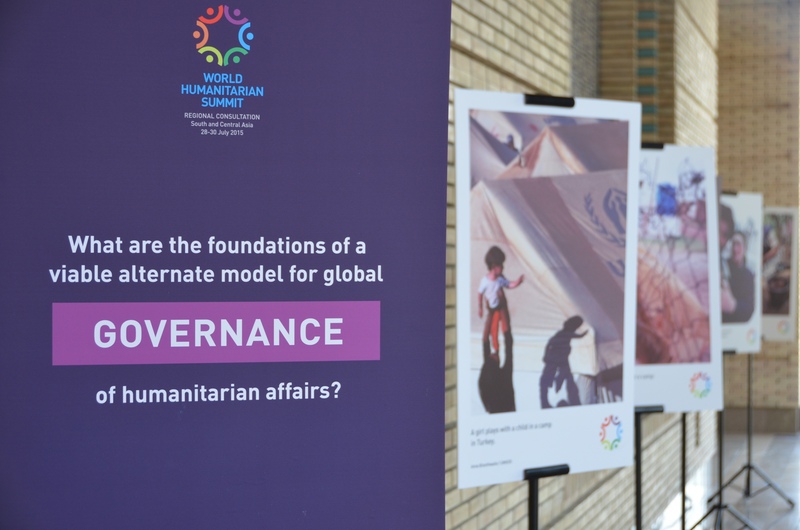 The World Humanitarian Summit, a global UN-led process to reshape aid delivery, is nearing the end of its consultative phase. On the sidelines of the last of the regional consultations, held in the Tajik capital Dushanbe, IRIN’s Managing Editor Heba Aly spoke to two senior UN officials about whether their institutions can truly change. IRIN proposed several ways that UN humanitarianism could evolve to Ertharin Cousin, head of the world’s largest aid agency, the World Food Programme, and Kyung-wha Kang, Assistant Secretary-General of the UN’s humanitarian coordination body, OCHA. Their responses suggest change will be incremental, at best. (For more on the mood as WHS consultations wrap-up, see our Editor's Take). One of the biggest themes to emerge from the WHS consultations is the need to “localise”: to put local communities – not external actors – at the centre of decision-making around crisis response. In order to transfer power to local communities, will WFP and OCHA fundamentally change the way they do business? Part of the move towards localisation means changing the way humanitarian response is funded. As IRIN has highlighted, large organisations like WFP receive the vast majority of the funds, leaving local groups with little money, and thus little influence. Will that change? And will the big players be more transparent about just how much they do give to local organisations? The UN has long been criticised for assigning its top jobs to the permanent members of the Security Council, with the heads of WFP, the World Health Organization, the peacekeeping department and the office of humanitarian affairs filled by appointees from the US, China, France and the UK respectively. One request to emerge from WHS consultations is to make UN leadership more universal, an idea Kang supported. Cousin, on the other hand, was more circumspect, even defensive. At their core, most humanitarian problems have political causes. Should humanitarian issues be removed from the Security Council to avoid politicisation? What of the suggestion to develop an independent humanitarian council to address such questions? The World Humanitarian Summit promised bold ideas to improve humanitarian response. But is an aid revolution too much to ask? Does the international aid system need to be dismantled altogether? And can these organisations foresee a day in which they no longer need to exist? Les communautés humanitaires et du développement sont depuis longtemps les « meilleurs ennemis » du monde de l'aide internationale.